Dungeon Sickle Axe | BUDK.com - Knives & Swords At The Lowest Prices! 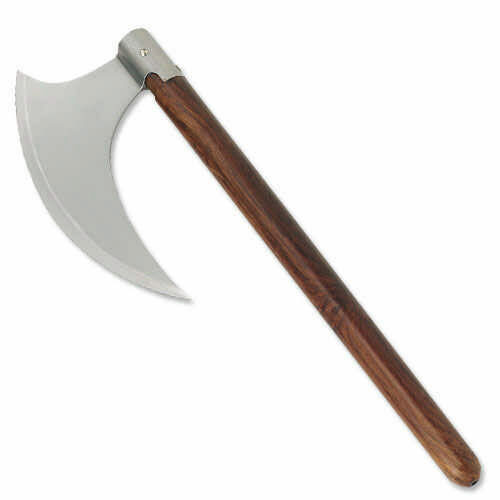 Secure your castle walls with this medieval battle axe. This traditional piece is fashioned from various pieces used during early 16th century Europe. The solid hardwood handle provides a firm grip for complete control of the 13 3/4" carbon steel blade stretching 27" overall.